Home Annual Conference fairytales Melvin Burgess plot SCBWI Conference Story writing "I'm all about story"
At the workshop during the SCBWI Conference, you used traditional fairytales to great effect. Can you tell us something about the role these have played in your life, and in your work? That workshop developed originally after I had written Bloodtide, a novel based on the Icelandic Volsunga Saga. My story was an adaption, but I quickly saw that the workshop revealed more than that - it allowed you to get to the structure of the piece you were subjecting it to. So it went on from there. It's my favourite workshop and never fails to entertain and educate - me anyway! Like everyone else, fairy tales were the first stories I ever heard, or had read to me, or read. They stand right at the beginning of all our stories, and they are shared right throughout Europe and beyond. They are our common heritage, so seminal that it's not even any good asking if you like them or not - they just are. I've rarely, if ever, directly taken from them in my own work, at least not consciously, although I have no doubt they're at work deep down. But they influence everything any of us write, can write or will ever write. I noted the relish you had for the morally ambiguous elements in these stories - how the lessons they convey often subvert accepted virtues. Could you expand on that, tell us more about what, if any, purpose stories hold? Stories can do all sorts of things - explain, reveal, tease, judge. In the case of these simple fairy tales, I do love the way they play with our expectations right from the start. 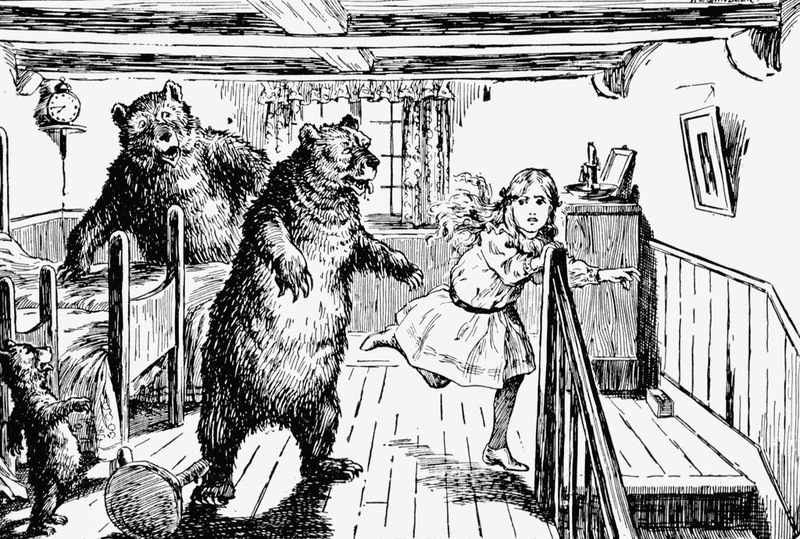 Goldilocks appears to be a simple, innocent little girl; in fact she's a thief and vandal. The three Bears appear to be big fierce beasts - in fact they are an innocent family. It's exactly these kinds of tricks that help make the stories so well remembered, so well loved - so very good. And I adore the fact that the very first tales we tell our smallest children have this at the heart of them. It's not so much a moral ambiguity, I think - more a play with morals and our expectations. They draw us in and then show us we're not where we thought we were. We forget that these stories are so full of tricks and surprises, because we know them so well. But when you look at them closely, you can see what clever, unpredictable things they are. Everyone I spoke to after the workshop was astonished that we could happily spend well over an hour deconstructing 'Jack and the Beanstalk.' What would you say to those who weren't there about this process? It astonishes me myself how much is in those stories every time I do the workshop. Good writing, however simple on the surface, goes far deeper than anyone would imagine - it's what makes reading and writing so fascinating. What I love about fairy tales is that the effects of the story seem so straightforward, obvious even. Yet the way they are engineered is so cunning. There's a reason why these stories have lasted so long, and why all of us remember them from our earliest childhood, while we forget so many others. They are just so, so good. What are your thoughts on the role of plot in writing? It's perhaps worth pointing out here difference between plot and story, for those who didn't attend. The plot I regard as the fundamental motor in the story. In Jack and the Beanstalk, for instance, the plot tells of a weak young person, failing dramatically at everyday tasks, but is given a chance by a mysterious stranger who sees something more in him. Given exceptional tasks he is able to take that chance and grow, until he has achieved hero status. 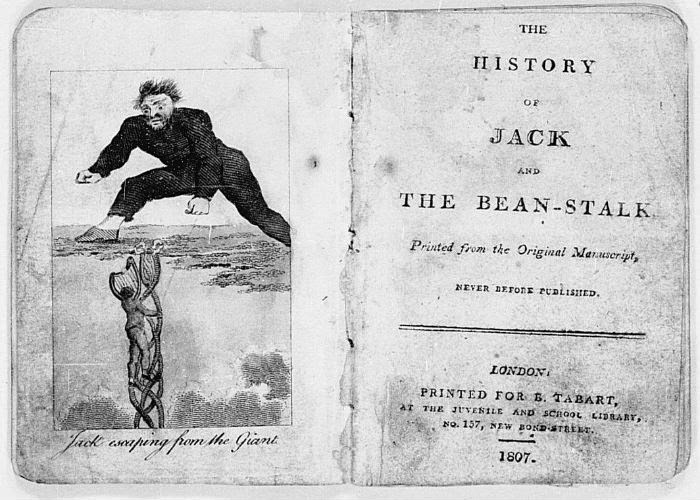 The story itself is much more specific, about Jack, the giant, the bean man etc. etc. Plot is therefore a much more theoretical thing than story. You can use the same plot for many different stories. I regard story and character as more or less the same thing. It HAS to be the right character in the right place in order for them to do the right thing. As I pointed out to the group, if Jack had a different character - for instance if he had been hard working and sensible right from the start - he would have sold the cow for a good price and the story would never happen. We have to be careful. If the plot is too strong it can overwhelm the characters. This is one reason why really good thrillers are so hard to write - characters under extreme circumstances tend to act much more uniformly than people who have genuine choices, so there's less room to develop character through action. In YA and children's literature in general, story is usually, if not always, of paramount importance. I love story - I'm all about story. There's something magical about narrative, and the meanings it stirs up. All cultures reveal God first of all through story. We learn ethics and character through story. Story is the basis of conversation - of speech, I'd say. As far as we know we are the only animal that tells stories, and as a species we couldn't exist without them. Storytelling through novels, fairy and folk tales, and myths, therefore, are the basis of all culture, in my view. Where does plotting come in the scheme of things for you? Are you someone who plots meticulously - or wings it, or falls somewhere in between? I'm an in-betweener. I do have a blueprint to start with - a basic outline. I usually stick to that, with minor changes, but I'm waiting for the story to take off and start telling itself. So long as it reveals more about life and how life is lived, rather than just rattle along for its own sake, I'm happy. It's the interaction between characters and circumstance that interests me. Story/character comes first, always. 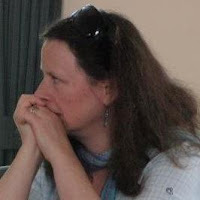 The first stirrings I get of a story are usually themes - I want to write ABOUT something. If I had written Jack and the Beanstalk, the theme would have been coming of age - rags to riches. I would then go on to think of some basic scenes about Jack, the giant etc, maybe the bean man as well. Jack buying the beans would be a basic scene; maybe Jack talking his way past the giant's wife. Both these scenes show Jack at his most typical. I would have written down a basic story outline. Then I would have filled in the gaps. You can never really tell how the story will go, or what it is about, until you've got to know the people and the circumstances you're putting them in. I don't plot too much, otherwise I get bored. I hope to surprise myself every time I sit down and write. Finally, have you any advice on plot and story that you're willing to share with Words & Pictures readers? Spend some time thinking about what you want to write before you even begin. Get some themes in your head. Wait until you can see a few key scenes, and try to work out how they fit together. If you can do this, you will have conceived character and story working together hand in hand, and that's the best start to begin your story. 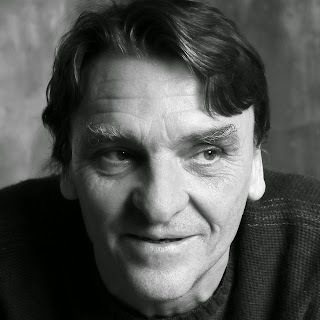 Thank you Melvin Burgess - not least for that workshop idea which I am so going to steal! Sounds great. Wish I'd been there. Thanks for sharing, Philippa. I've tweeted this one. Thank you! 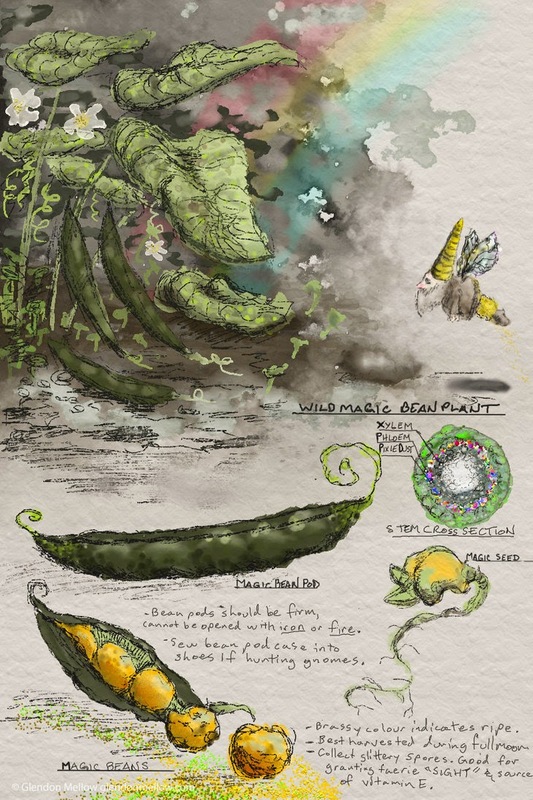 Sounds like a fascinating talk, and thank you for including my Magic Beans painting in your post! Please link my name or the image itself back to http://www.glendonmellow.com - Cheers!